The Washington Capitals will have to make a run at a second straight Stanley Cup without a prominent defenceman. 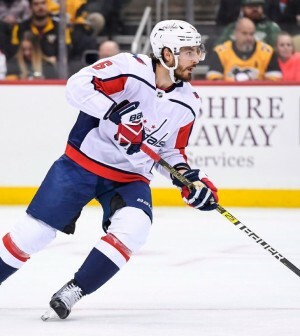 The team has confirmed that Michal Kempny will be out for the remainder of the regular season and playoffs after undergoing successful surgery on his left hamstring. The timetable for his recovery will be anywhere between 4-6 months. Kempny reportedly tore his left hamstring during the team’s 5-4 overtime loss to the Tampa Bay Lightning on March 20. The 28-year old, who is in his second season with the franchise, registered a career-best six goals, 19 assists and a plus-24 rating in 71 games in 2018/19. He’s a big piece of this team and we’re going to have to all step up.” said defensive partner John Carlson after learning about Kempny’s fate. The Capitals are currently have a three point cushion for first place in the Metropolitan Division over the New York Islanders with two games remaining on their regular season schedule.